Volvo’s Polestar Program is such a well kept secret that the company provides each new purchaser with a presentation kit explaining the virtues of this hottest Volvo you can buy. Polestar is Volvo’s racing arm, an outfit that has won the Swedish Touring Car Championship for many years running. 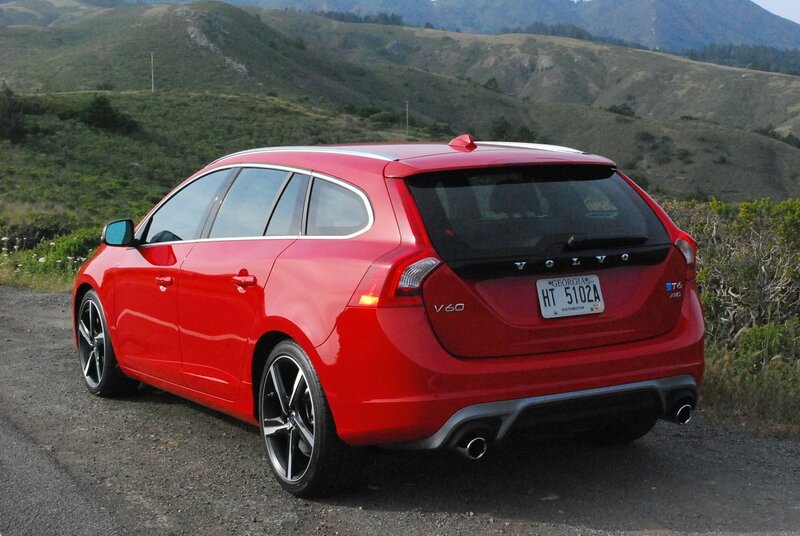 Here’s a brief list of the V60’s many special attributes. Under the hood lies a tweaked 3.0 liter V6 that produces 325hp, 25hp more than the standard V6. This motor also makes 354lb.-ft. of torque, 29 pounds more than the standard B6304T4 engine. 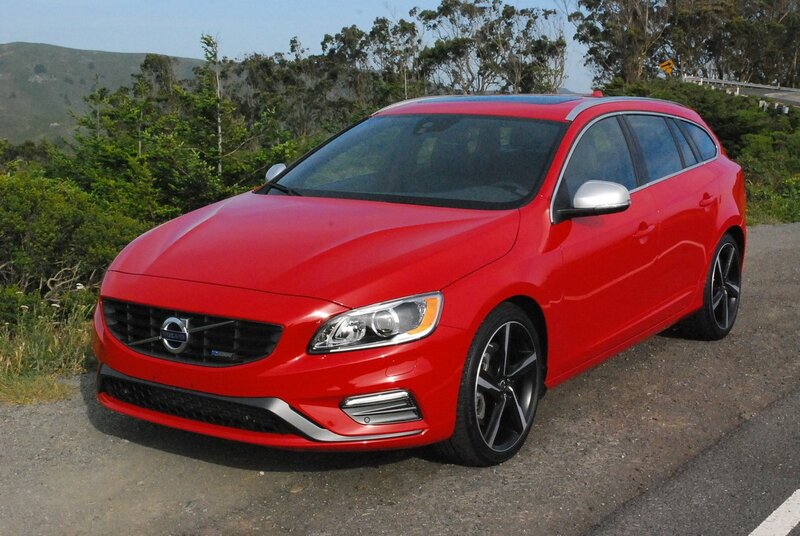 To handle the extra power, the V60 station wagon version of the S60 sedan drives through all four wheels with a highly evolved system using torque vectoring to disseminate power where needed. Although Volvo has introduced a new 8 speed automatic gearbox for 2015, it is available only with 4 cylinder versions of this wagon. 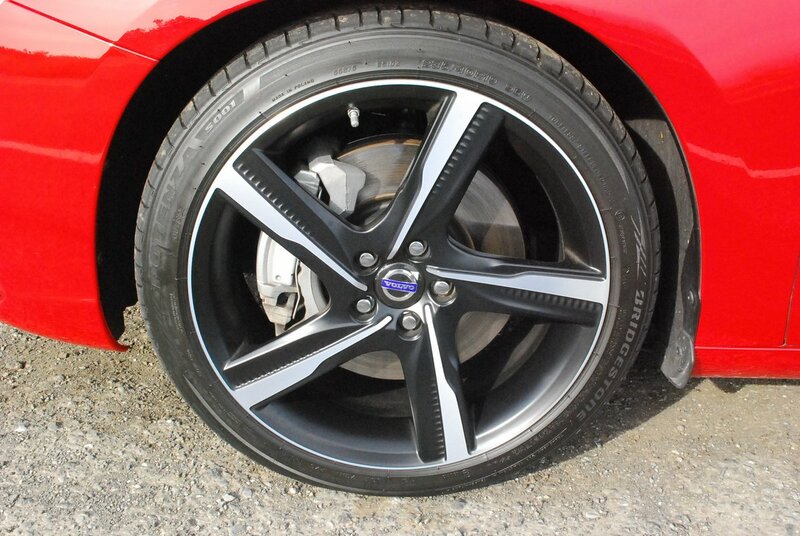 Thanks to the ample torque of the turbocharged 6, the Polestar doesn’t need the extra gears provided by the 8-speed. Rather, it connects through a 6 speed Geartronic automatic that provides manual shifting with aluminum paddles mounted on the steering wheel. The combination of the quick boost provided by the twin scroll turbo, and the instant gear selection afforded by the paddle shift automatic make this V60 the fastest accelerating Volvo I have ever driven. The beauty of the Polestar package lies in the fact that the suspension is perfectly calibrated to enhance the performance of the drive train. Volvo’s sport chassis provides an authoritative sense of control. The ride is firm but never punishing. Especially welcome are the top notch set of Bridgestone Potenza S001 tires (235/40R19) mounted on matte black “IXION” rims ($750 extra) that look like Cuisineart blades. 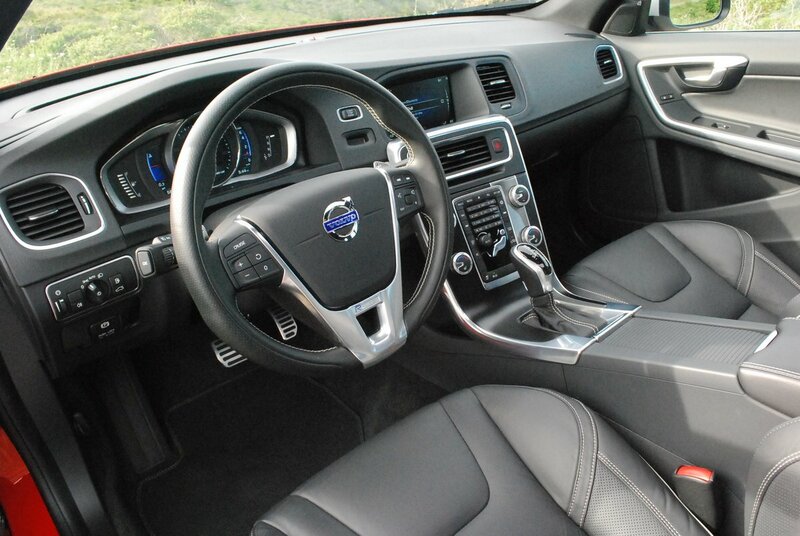 Exterior flourishes are handsomely integrated into the sleek lines of this model. At the back, you’ll find a small Polestar identifier attached to the R-Design rear diffuser with polished tail pipes. The front fascia sports a more aggressive splitter and a discreet R-Design offset badge. Climb into the spacious cabin, and sink into special R-Design, race inspired front seats that offer accentuated thigh and lower back support. These carefully tailored buckets feature grey leather with contrasting white stitching. Matching R-Design shift knob and fat-rimmed steering wheel complete the high performance touches. Although the Volvo’s interior cabin measures just 69 inches from the front seat backs to the tailgate, I was able to slip a mountain bike into this cavity without removing a wheel. Granted, it was a tight fit, but it does reveal just how much storage space is available in a car with a wheelbase of just 109 inches. Note, however, that seating for two on the rear bench is tight, especially if tall occupants have positioned the front seats far aft. When lifted, the rear storage area floor board reveals a large number of hidden compartments that would be perfect for secreting valuables. Underneath that sub floor you discover that the V60 has no spare tire, but does provide a sealant can and a tire inflator. Subaru Outback vs. Jeep Wrangler - Finding the better sand machine.